The basic facts were as follows. Police officers responded to a report of a home invasion. At the scene, Detective Pohle spoke with the victim, Garcia, who stated that three men “forced their way into [his] apartment” and “took his jewelry and wallet.” In the course of the incident, one of the men struck both Garcia and his six month old baby in the face with a silver handgun. Later that day, after looking through a large set of photographs at the police station, “Garcia saw a photograph of the defendant and stated with [one hundred] percent certainty that” it depicted the intruder “who had hit him and his baby. Pohle wrote an incident report and filled out an arrest warrant application. Because it was late in the afternoon and his shift had ended,” he did not seek action on the application at that time, but rather, placed it in “the court box for the next day.” The next morning, Pohle informed the supervisor of the police department’s warrant task force (Sergeant Kenny) “that he was in the process of getting an arrest warrant” against the defendant. Kenny was acquainted with the defendant and knew where he lived. “Without an arrest warrant, but believing that there was probable cause to arrest the defendant and that exigent circumstances existed, Kenny and four other members of the warrant task force proceeded to the defendant’s address.” “Kenny and two officers approached the front door, while two other officers went to the side of the house to secure a perimeter…. As Kenny ascended the front porch steps, the defendant saw the officers through the glass front door.” The defendant ran toward the rear of the house and began to climb out a window, but when he saw the officers setting up a perimeter outside, he “retreated into the house…. Because of the volatile situation …, the officers forced their way through the front door” and arrested the defendant. The officers then conducted a protective sweep of the house, during which “Kenny made a plain view observation of some jewelry … in the defendant’s room that matched the description of the jewelry taken during the home invasion.” Kenny then obtained a warrant to search the premises, pursuant to which the officers seized additional items of evidentiary significance. After the return of indictments against the defendant, he filed a motion to suppress (1) the evidence observed by the police during their protective sweep of the defendant’s dwelling after his warrantless arrest; and (2) the evidence seized by the police pursuant to the search warrant. 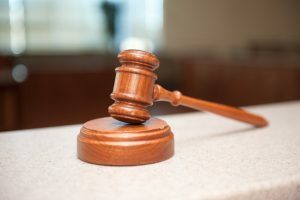 The judge allowed the motion on the ground that “the police created the exigency that prompted their warrantless entry into the defendant’s dwelling.” The Commonwealth appealed. If you or a loved one is in a situation where the police obtained evidence against you as the result of a warrantless seizure and subsequent search, you will need an attorney to fight to suppress that evidence. Attorney Daniel Cappetta is an experienced and skilled attorney who has litigated numerous motions to suppress. Call him today for a consultation to determine whether you have a strong motion that should be litigated.